The Hales Grenade was the solution to the problem of the unit exploding in front of the rifleman, if the grenade flopped out of the gun in front of you instead of being launched towards the enemy once it had been primed there was nothing you could do to stop it from exploding. 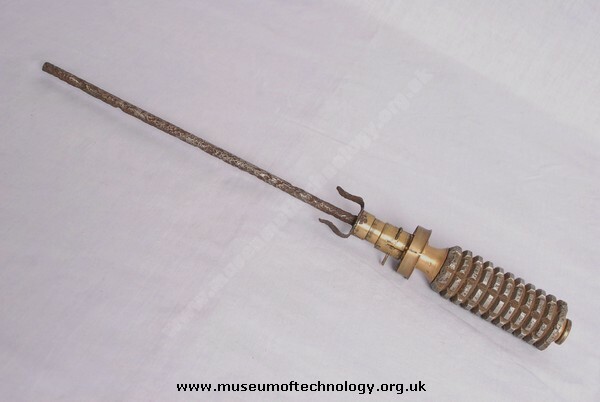 Frederick Marten Hale, in 1915 designed a fuse that could not explode until it was in the air at speed, it worked by a wind vane that once turned it would prime the grenade and trigger the fuze, which had an impact graze type, if it fell out of the rifle without travelling at speed through the air it could not explode. The manufacture of these grenades was difficult and expensive at the time, but for the safety and confidence it gave the user, it was worth it. This photo is of the No 3 MK 1's successor. You can see from the angle of taper of the brass part connecting to the fragmentation cylinder.